(Sept. 8, 2014) – From Nov. 18 – 21, nearly 1,000 exhibitors from approximately 40 countries will showcase their latest and greatest products and services for more than 17,000 attraction industry buyers on the half-million-net-square-foot IAAPA Attractions Expo 2014 trade show floor. Indoor exhibit space at IAAPA Attractions Expo 2014 is sold out, while outdoor exhibit space is still available. 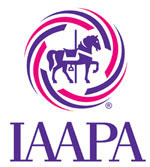 The International Association of Amusement Parks and Attractions (IAAPA) owns and produces IAAPA Attractions Expo, which will bring more than 27,000 industry professionals to the Orange County Convention Center in Orlando, Florida, for the premier event in the worldwide attractions industry. The IAAPA Attractions Expo trade show floor is the global industry’s largest marketplace where owners, CEOs, and managers of amusement parks, water parks, family entertainment centers, zoos, aquariums, museums, science centers, and other attractions can shop for the next innovation to enhance their guest experience and drive their business. The weeklong Expo is the 28th largest trade show in North America according to Trade Show News Network and generates $51.3 million for the Orlando, Florida, economy. Outdoor exhibit space at IAAPA Attractions Expo 2014 is still available and a waiting list has been developed for last-minute openings inside the exhibit hall. Additional information about exhibiting at IAAPA Attractions Expo is available at www.IAAPA.org/IAAPAAttractionsExpoExhibit. Attendee registration is now open. Attendees can save up to 40 percent if they register by the Super Saver deadline of Sept. 23. 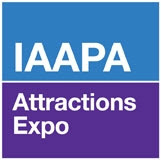 More information about attending IAAPA Attractions Expo 2014 is available atwww.IAAPA.org/IAAPAAttractionsExpoAttend. IAAPA Attractions Expo 2014 is the largest conference and trade show in the world for the attractions industry. With its theme “Big Starts Here,” the show will take place in the Orange County Convention Center in Orlando, Florida, and draw more than 27,000 industry professionals from 100 countries to the event from Monday, Nov. 17, through Friday, Nov. 21. The 500,000-net-square-foot trade show floor will open Tuesday, Nov. 18, through Friday, Nov. 21. IAAPA Attractions Expo 2014 is the gathering place for attraction industry leaders, decision makers, and visionaries to view the latest innovations, plan for the future, learn from each other, and network. Additional information can be found at www.IAAPA.org/IAAPAAttractionsExpo.